Japan is getting deep into autumn – the season for autumn foliage, called kouyou in Japanese, is getting closer. 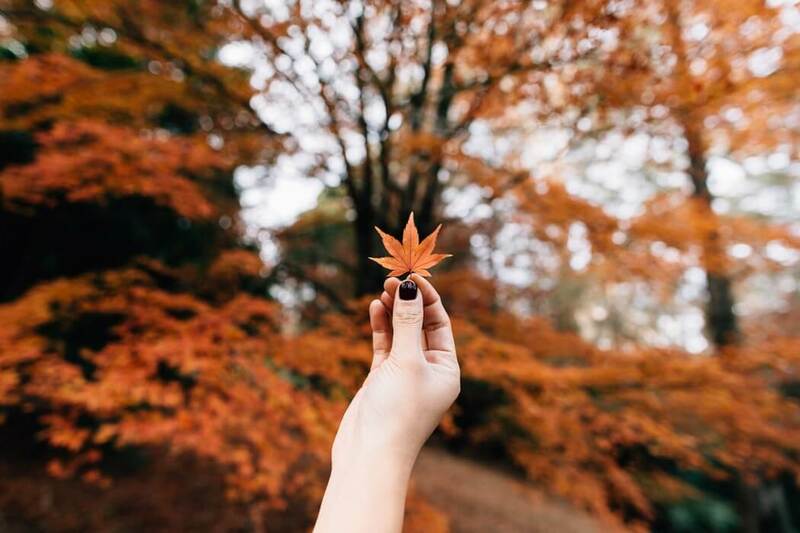 Tokyo is known for its bright lights and metropolitan lifestyle, but did you know that there’s in fact a lot of places to enjoy the autumn colours in the capital? We’ve compiled a list of great spots to visit this autumn that are accessible from the heart of Tokyo. Mount Takao is a nature haven about an hour’s train journey from central Tokyo. Surrounding the mountain are about 1,200 species of plant and 100 types of wild bird. Its autumn-time maple trees are exceptional. The view of autumn leaves from the mountain peak as well at the Yakuo-in Buddhist temple, Kiyotaki Cable Car Station, Takaosan Station and elsewhere please the eyes of countless mountain climbers over a one month period. Additionally, special “Mt. Takao” trains will run from Takaosanguchi Station to Shinjuku Station on weekends and holidays throughout November from 3pm. These carriages are reservation-only and offer a beautiful view for those returning to the city centre. Rikugien Garden is a typical garden of the Edo Period boasting around 400 maple trees as well as Japanese wax trees, maidenhairs and more all of which bring vivid life to the garden. It’s also home to a pond and 35 meter high ‘mountain’ where people can stroll along and enjoy autumn’s kaleidoscope of colours. Illuminations are also set to be held from Novmember 17 to December 9 which will light up the trees and rest of the garden, so don’t miss out. Hibiya Park first opened in 1903 during the Meiji Period. During autumn, the leaves of the maidenhair trees colour the the S-shaped garden path a golden yellow. The park’s Shinkei Pond is home to a water fountain made in the image of the crane which is the third oldest water fountain in Japan. Tokyo is a busy and bustling city, but Hibiya Park is an oasis out of that where the captivating colours of maple trees and more excite your eyes. Shiba Park has a long history and was first designated a park in 1873 along with those in Ueno, Asakusa, Fukugawa and Asukayama. The bright colours of the maidenhair trees in the promenade that arrive from late November and bloom until early December look out on Tokyo Tower which is an overwhelming sight to see. Meiji Jingu Gaien Park is famous for its maidenhair trees that span a 300 meter distance. It’s one of the city’s representative autumn-time spots for seeing yellow leaves. There are 146 maidenhairs that line both sides of the path that create a truly golden road. If you gaze from Aoyama Dori Road it’s like staring into a beautiful picture book. Yoyogi Park is home to 6 types of broad-leaved trees including 1,000 Japanese zelkovas, 260 maidenhairs, 100 maples and more. It is one of the main parks to visit in Tokyo during autumn where you can stroll and see the colours unfold before you. It has an open space, water fountain and even benches making for a great day out where you can kick back and relax. It’s a great place to stroll to after shopping in Harajuku as it’s located right next to Harajuku Station. But if you get lost then come and see us in the MOSHI MOSHI BOX Harajuku Tourist Information Center and we’ll point you in the right direction. When in Japan during the fall season, make sure to enjoy it to the absolute fullest!